Dylan is a rescue dog, who came to live with us when he was just over a year old. 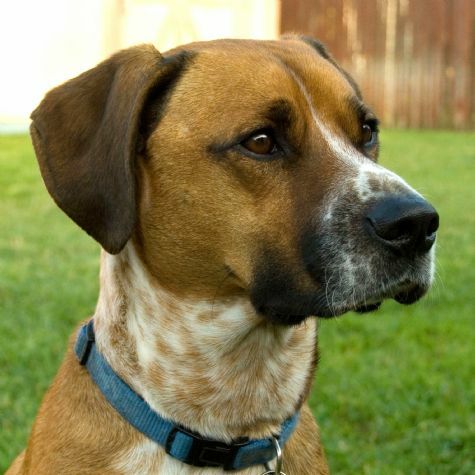 We think he�s a boxer-hound mix. He has lots of energy, but a very calm personality. His favorite things are: running around and wrestling with his best (dog) friend, going to the dog beach, and going to agility, where he gets to run, jump over obstacles, and go through tunnels. And he loves to eat and give kisses. When you look into his beautiful big brown eyes, everything seems a little better.